According to the Wikipedia website, there have been sixteen film adaptations of Charlotte Brontë’s 1847 novel, “Jane Eyre”. And there have been ten television adaptations. That is a hell of a lot of adaptations for one novel. A lot. And judging by the numbers, I have no immediate plan to see every movie or television adaptation. But I have seen at least five or six adaptations. And one of them is Franco Zeffirelli’s 1996 movie adaptation. 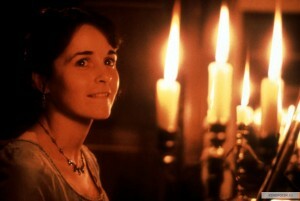 The biggest criticism that “JANE EYRE” received from critics proved to be Zeffirelli’s casting of William Hurt as Edward Rochester. Mind you, I found Hurt’s English accent a little shaky. But I really enjoyed the cynical and world weary air he projected into the character . . . especially in scenes featuring Rochester’s meeting with his brother-in-law, Richard Mason. And he also managed to achieve some kind of screen chemistry with leading lady Charlotte Gainsbourg. I find this quite miraculous, considering my belief that Gainsbourg’s portrayal of Jane Eyre proved to be the movie’s weakest link. I realize that this is not a popular view. But aside from one scene, I found Gainsbourg’s performance to be completely BORING. All she had to do was open her mouth and her flat tones nearly put me to sleep. 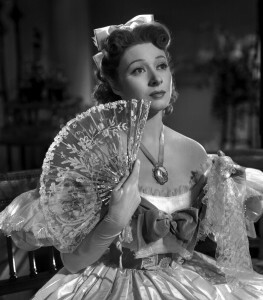 The only time she really managed to effectively convey Jane’s deep emotions was in the famous scene in which the character revealed her love for Rochester. Only in this scene did Gainsbourg gave a hint of the acting talent she would eventually develop. Other members of the cast gave solid performances. 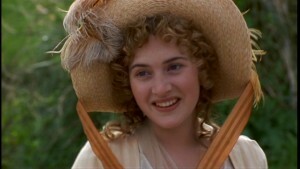 I noticed that the movie featured three cast members from 1995’s “PERSUASION” – Fiona Shaw, Amanda Root and Samuel West. 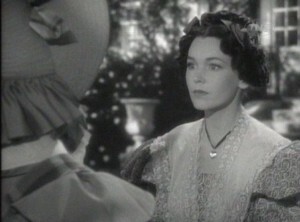 Shaw was very emotional, yet vicious as Jane’s cold Aunt Reed. 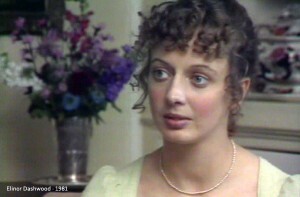 Root gave a warm performance as Miss Temple, Jane’s favorite teacher at Lowood. 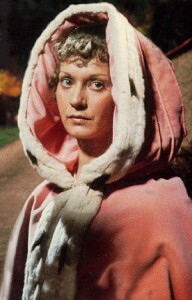 And West was very effective in his portrayal of Jane’s religious cousin and savior, St. John Rivers. It seemed a pity that the movie’s script did not allow for a further look into his character. John Wood was perfectly hypocrtical and cold as Jane’s religious headmaster, Mr. Brocklehurst. Joan Plowright gave a delightful performance as the outgoing housekeeper, Mrs. Fairfax. 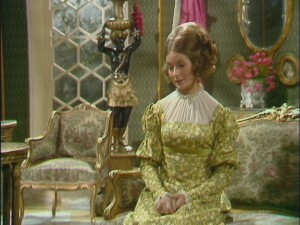 And I was surprised by Elle Macpherson’s effective portrayal of the charming and self-involved Blanche Ingram. Edward de Souza gave a solid performance as Rochester’s emotionally delicate brother-in-law, Richard Mason. But like West, he was barely in the movie long enough to make any kind of an impression. Julian Fellowes made an appearance as one of Rochester’s friends, a Colonel Dent; but aside from a few witty lines, he was not that impressive. But the one supporting performance that really impressed me came from Anna Paquin’s portryal of the young and passionate Jane. 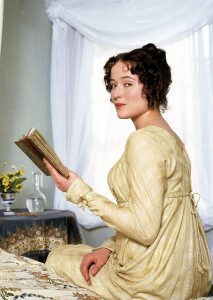 It seemed a pity that Paquin was only 13 to 14 years old at the time. Because I believe that her performance as Jane seemed ten times better than Gainsbourg.